Good Monday Morning to you out there! I'm in a surprisingly fantastic mood for a Monday, I must say. Here are a few of my articles that recently went "live" on the fab foodie site Tablespoon.com. 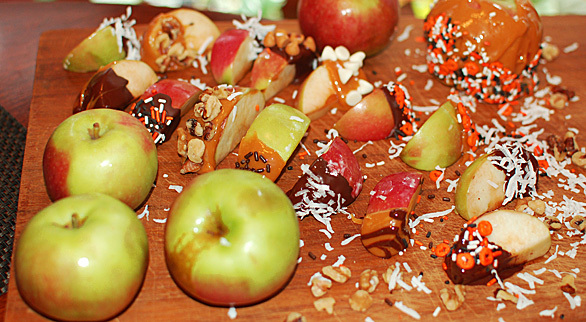 There are tons of great Halloween treat ideas on the site right now, so check it out! Candy Apple Bites - While candy apples are pretty to look at, I've always found them difficult to eat. 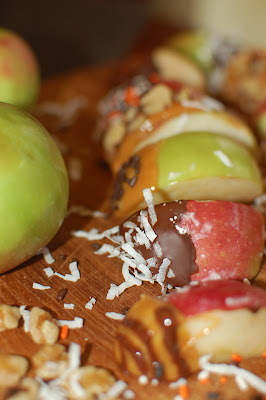 I created these candy apple bites so you can just pop them in your mouth! These would be perfect for a Halloween party. Keep your apples fresh by tossing in Fruit Fresh, or any fruit preserving powder (found in the canning section). 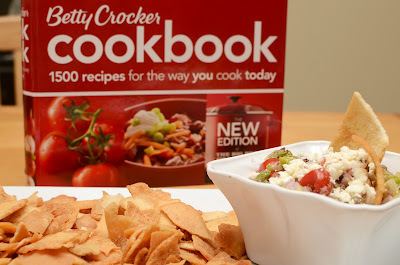 Check out the recipe and more deets HERE! Use Fall Foliage for decorating! 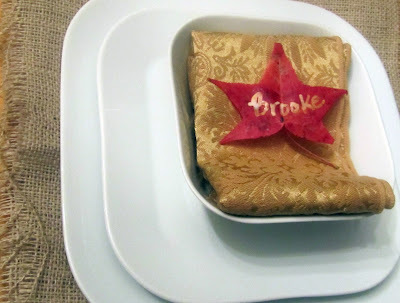 - I really do love this idea of fall place cards. Using a paint pen or a metallic sharpie marker, write guests names on a leaf for a FREE and festive addition to your fall table! Send your kids outside to find the perfect leaves! Smaller leaves would also make perfect wine glass charms. 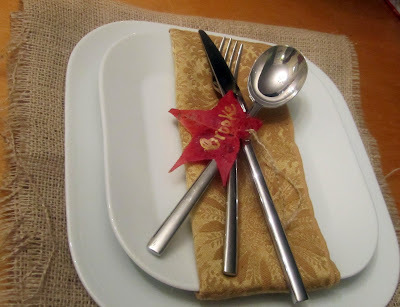 Check out more fall leaves ideas HERE. 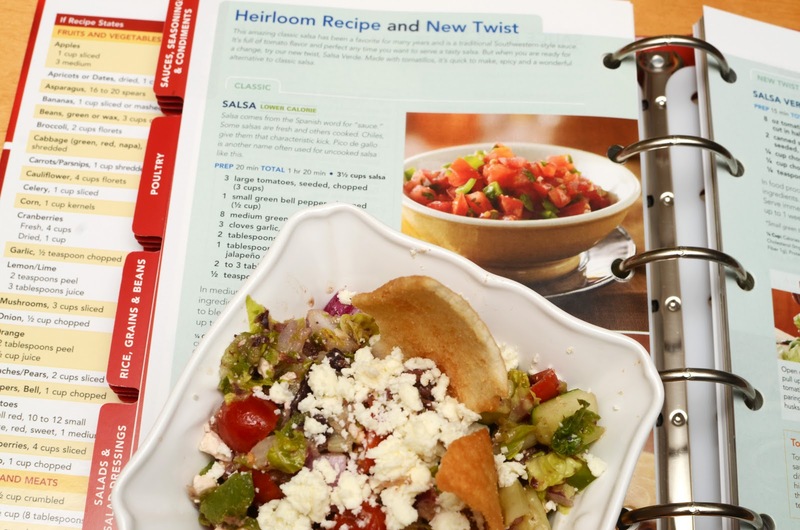 Greek Salsa - The nice folks at Tablespoon were participating in the roll out of the new Betty Crocker Big Red Cookbook. They asked their bloggers to create a new twist on some of Betty's classic recipes. I was assigned Salsa and decided to put a Greek spin on the classic. 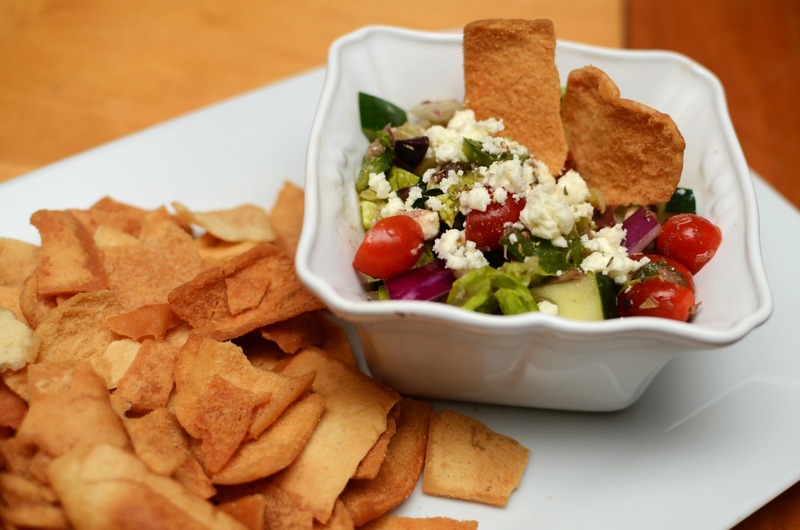 Check out my Greek Salsa recipe HERE! I'm excited to say I am writing for another site now, Celebrations.com. My first articles went "live" last week...they're all about CHRISTMAS! Yes, it's coming early this year! More on that later this week, and I hope to post some pictures from the weddings I've coordinated this month as well.